Bought this for my son and he loves it. It fits perfectly. 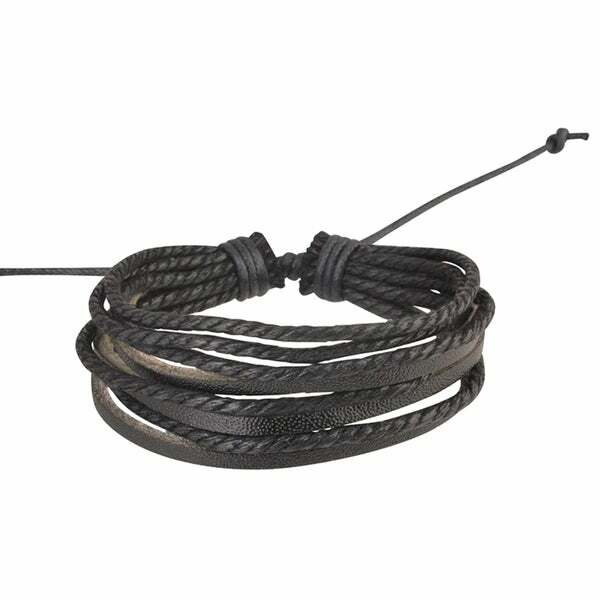 This multi-strand leather bracelet fits all wrist sizes and is available in a variety of color options. Pair it with jeans and a plaid shirt for a western look or with a skirt and blouse as a fashionable accessory to wear to the office. It also looks great with casual outfits, so you can wear it on bowling or movie nights with your friends. 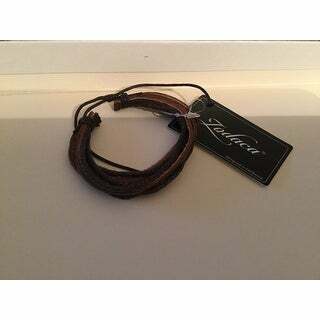 I have been looking for leather bracelets that fit large wrists and look ruggeg. This is what I was looking for And a great price. Nice multi-strand bracelet but much thinner leather that I expected. Gave to my granddaughter as a gift. I bought this bracelet for a young woman in her 20's -- one of those "no reason" gifts. Just passed it along to her through her adoptive parents. Have no idea yet whether or not she likes it, but I personally like its funkiness and, if 40 years younger, would have had it around my wrist in no time flat. If it's not right for her, I hope she regifts it. It's a lovely little work! People give these braclets bad reviews because the "fall apart". Well, dab a small amount of Crazy Glur on the ends and it will NEVER fall apart. If you think that you can continuously wear this in the shower, in the pool, etc. you can forget it. Leather is not made to get wet. This item is very nice. I purchased it for my husband but I wear it sometimes too. It serves as a wonderful unisex accessory for both men and women. I totally recommend purchasing this item. I like it. It looks like it didn't cost much, and it didn't. It's perfect for summer. I'm going to take the advice of the reviewer who suggested Crazy Gluing the ends. Genius! I added a couple of clip on charms, looks great. Junk. Nothing else to sau. "When a bracelet breaks, will you replace it?" I had a fashion wrap bracelet years ago and it broke recently. Just wanted to replace it.